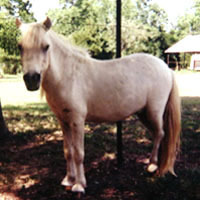 This palomino colt was born 2-1-96 during an ice storm, that's how he got his name. 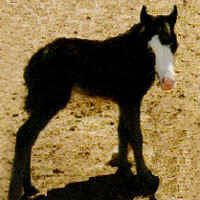 This black colt was born in April 15th, 1996. So he was named appropriately! 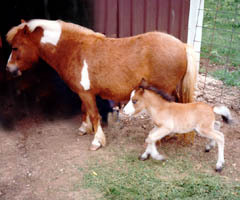 Taxman's mother was our pretty mare, Feather. 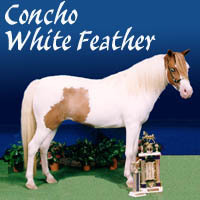 This is a bay and white overo pinto born in 1996. 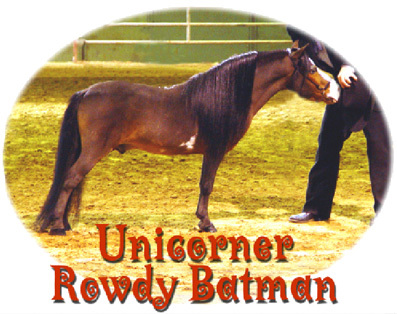 Batman was our main stallion the last few years and we have been very pleased with the quality of his get. He now lives in Abilene, TX. 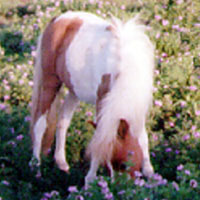 This cute sorrel tobiano filly was born 5-28-96. 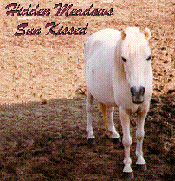 What a surprise, all that color from her dad with so little white. 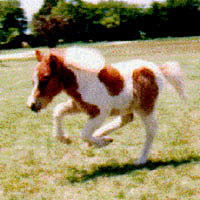 She reminded us of a brittany spaniel! 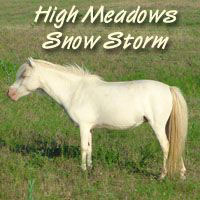 We sold her to Al and Maxine Priesmeyer of Brenham, TX. 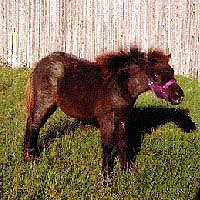 This blue roan miniature horse colt was born 6-3-1996. We followed the "Manly" name theme for him too. His new owner lives in Mexico so we were not able to get any more pictures. 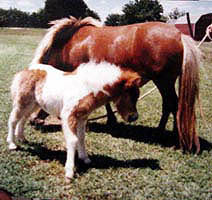 This sorrel filly was born 7-6-1996. 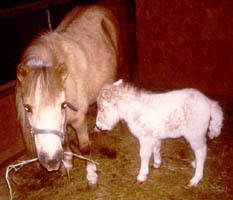 Candy's mother was a pale palomino. 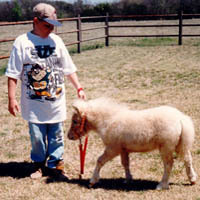 Candy was sold to Nita Johnson of Texas. 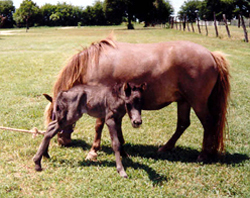 This silver dapple filly was born 8-10-1996. 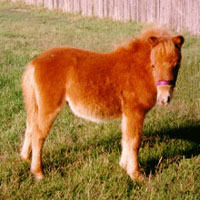 Glitter's mother was a smokey cream. 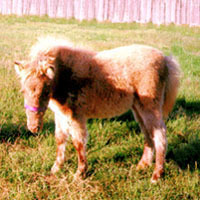 Glitter was sold to the Doss family of Dallas, TX.